Hone De Ishq Shuru Full Song Lyrics with English Translation and Real Meaning Explanation from latest Zee Music Originals song. The delightful love song is composed by Rajesh Sharma while Deepak Noor penned the lyrics, Yasser Desai sang this song. The music is available under the label of Zee Music. 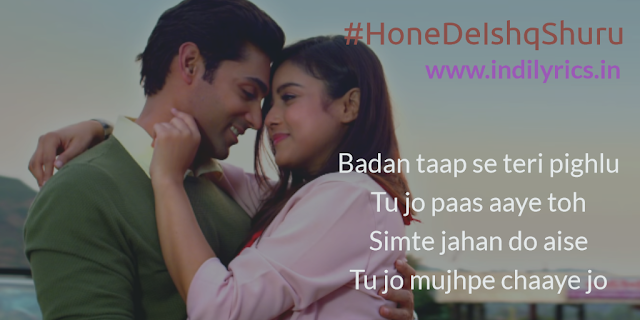 The audio mp3 version of Hone De Ishq Shuru is free to download from all the major online music portals including Gaana, Wynk Music, JioSaavn, Hungama etc. The music video of Hone De Ishq Shuru stars Ruslan Mumtaz, Mishti Chakraborti & Ranbeeir Kalsi.